Emphasizing the operator's leading position in Egypt, Eng. 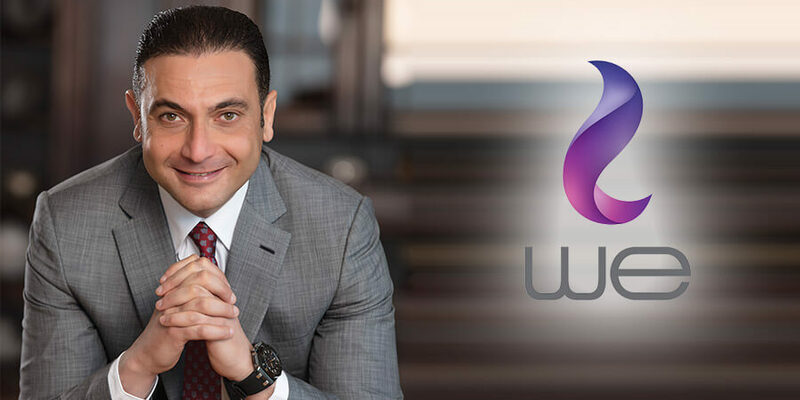 Ahmed El Beheiry, CEO, Telecom Egypt, spoke to Telecom Review about the new brand "WE". 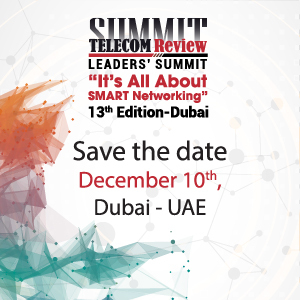 Telecom Egypt CEO tackled several topics ranging from financial results to FTTH deployment and OTT players. Why did Telecom Egypt choose to launch its own mobile network "We"? How do you evaluate its performance seven months after its launching? Launching mobile services was always a main pillar of Telecom Egypt's long-term strategy leveraging its strong retail reach and superior infrastructure, especially that the data market is still under served and expected to grow exponentially driven by the young generations that always want to be connected 24/7. We believe Telecom Egypt will be a key player in the retail telecom industry under its new national brand name WE having the slogan "We are part of you". This repositioning was a crucial step to replace the old customers' perception with our new brand values of being young, innovative and dynamic. In addition, we will be leading the functional platform via the integrated solutions and offerings across the three business streams (mobile, broadband and fixed landline), bringing more value and relevance to our customers. The momentum our brand gained since launch enabled us to achieve a track record of customer acquisitions crossing 2 million subscribers in less than 3 months. This sets the momentum for the potential growth and success we are targeting in the near future. Being the fourth mobile operator in Egypt, in your opinion, what distinguishes WE from the other three operators in the market? And how is it managing the competition? Let me first emphasize that we are not just the fourth operator; Telecom Egypt has a long heritage and history in the Egyptian market with more than 160 years working and serving the Egyptian telecom market. We are positioning ourselves as the first total telecom operator rather than the fourth mobile operator. We have avoided aggressive price cuts, usually a main characteristic of new entrants' strategy, and have focused our efforts on leading the data market with different pricing strategies, integrated propositions and superior customer experience to avoid head to head comparison and price war. We have worked hard to revamp our call center, completely utilizing advanced business support systems and solutions to enhance our customer experience. Besides, we have renovated more than 400 retail outlets across Egypt to provide the best customer experience. On competition, we are closely monitoring our competitors' moves in the market and I believe our commercial team successfully managed, since the launch, not be provocative with the new offering, while giving the customer the best value for money aiming to grow our presence and the overall market as well. Telecom Egypt signed national roaming agreements with private operators. What is the advantage of such agreements? How do they help you improve coverage? Having a national roaming agreement with one of the existing licensed operators was a mandatory step to avail nationwide coverage from the first day of launch, thus ensuring the best customer experience to our customers. Indeed, customers will enjoy the best network quality and coverage nationwide seamlessly. Based on this, our network rollout strategy is based on providing the best quality and coverage following the traffic heat maps and best in class solutions taking into account site profitability modeling to maximize the return on investment. Telecom Egypt delivered a strong operational and financial performance in financial year 2017. Can you share the highlights? We are proud of the results we delivered in 2017, given that it was a tough year operationally. Telecom Egypt delivered a strong operational and financial performance in 2017, delivering double digit growth across the P&L. Total consolidated revenue grew 33% year on year to EGP 18.6bn and normalized revenue grew 13% year on year. Although the company's focus was on the mobile launch, we managed to maintain the momentum we had gained over the last three years in our fixed retail segment, which grew by 28% year on year. Such growth was supported by the growth of fixed broadband of 42% year on year, in line with our strategy to improve our profitability by shifting the revenue mix towards retail revenue. If we normalized the impact of the EGP devaluation, of which the wholesale segment is a direct beneficiary, our retail revenue would have presented 54% of the total revenue. EBITDA grew 36% recording a margin of 28% and net profit grew by 18% in spite of the P&L impact of the settlements with Orange and Etisalat. Excluding such impact net profit would have grown even higher by 31% year on year to record EGP 4.8bn. The settlements were a necessary step to close all legacy legal disputes with mobile operators as prolonged disputes only lead to uncertainty and distraction, while Telecom Egypt needs to become a fast and dynamic operation with a focus on the huge opportunities in the Egyptian telecom market. Through Orange's settlement, we were able to secure a cash inflow of EGP 74mn, while Etisalat's settlement helped us mitigate a potential financial risk of cUSD 80mn. On the CAPEX side, the challenge was huge specifically after the devaluation of the currency since most of our CAPEX is denominated in foreign currency. We succeeded in spending the same dollar value of CAEPX (c400 USD for year 2016) in 2017 as we continued investing in our access network and started the mobile network investments. This we achieved through the optimization of our procurement cycle and establishing a long-term partnership with our vendors. Finally, on the net-debt we ended the year with cEGP 6.7bn, translating into a net debt to EBITDA of 1.3x, a level we believe is very satisfactory in light with our increasing CAPEX spending in EGP terms and the cost of the 4G license acquisition. What are your expectations in terms of market share and what will you focus on in the future? There is a lot of potential in the Egyptian market, in our view. The potential lies mainly in the expected growth of the data ecosystem. Although the penetration rate of mobile SIMs is already above 100%, mobile data penetration is still around 30% only. In addition, Egypt's population has a yearly growth rate of around 3%, with close to 50% of the population below 25 years old. It is a relatively young generation that demands constant connectivity, collaboration and creativity. We believe we are ideally positioned as a total telecom provider to meet those needs and aim for a 12 to 15% market share over the next five years, supported by our unique positioning in mobile data across the different customer segments. The Egyptian market is behind others in diversifying its activity away from the traditional telecom business and towards ICT services. This is one of our key priorities in the coming few years as we are looking to provide fully integrated business solutions, managed services, cloud computing, as well as expand our datacenters' presence, develop our big data and IoT capabilities, and explore other mobile-enabled services such as mobile banking. How is Telecom Egypt contributing to the development of fiber networks the country? For the past several years, Telecom Egypt has directed its investments to fiber networks rather than traditional copper networks. Telecom Egypt has also deployed an extensive multi-service access network rollout plan to transform its legacy access copper network to a modern access network fully backhauled with fiber. As the fiber footprint is extended, multiple services and applications are being delivered over this access network including residential and enterprise services as well as emerging opportunities such as WiFi backhauling and small cell front haul. The virtually unlimited bandwidth and capacity of fiber provides the platform for convergence. Fiber backhauling guarantees excellent service quality to meet the data revolution and growth in customers' demand. Telecom Egypt has 18,000 km of fiber deployed on the access network that connect 52% of the total households as of end of 2017 and we plan to reach 72% by end of 2018. In addition to deploying FTTH in green field areas and new closed compounds side-by-side to massive rollout of fiber transmission paths that serve core networks and business extensions all over Egypt, Telecom Egypt had deployed around 35k FTTH links in 59 urban community projects till end of 2017 and plans to reach to 85K FTTH link by end of 2018. What will 5G enable in the hands of people, businesses and society as a whole? What are the opportunities you foresee with 5G? Definitely, 5G networks will be very beneficial in the consumer mobile space, but we see the real market opportunity and evolution with the introduction of 5G networks when it comes to the enormous capabilities of IoT and ICT ecosystem. 5G is expected to play a major role in growing the industrial digitalization and creating massive scale services and business applications. Given the impact OTTs had on the telecommunications market worldwide, what strategy did you adopt to face this challenge? We are cautiously watching the development and spread of OTTs worldwide. We cannot deny that the spread of OTTP has been a challenge for most telecom operators. Luckily, Telecom Egypt is indirectly exposed to the impact of the revenue decline of voice services through leasing its international gateway to the mobile players. It has not been exposed to any decline in massaging revenue as we only recently entered the mobile space. Our strategy is to develop innovative new revenue streams based on collaboration with OTT players and continue developing our datacenters to cater for growing demand of connectivity and content. Besides, we will continue fighting illegal bypass traffic with the best in class solutions and systems. How far did WE reach in the digital transformation, and what would you like to achieve through it? Telecom Egypt in the recent years has achieved considerable progress in its digital transformation. Telecom Egypt significantly enhanced the company's customer relationship management, core billing systems, digital customer support, automated provisioning for customer transactions, and support service for the deaf and mute to meet the needs of both businesses and customers. Considering fully streamlining internal processes and lowering the costs of ongoing operations, we integrated different internal portals and created a unified knowledge base, all under the umbrella of digitizing Telecom Egypt in all dimensions. 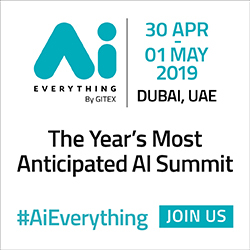 We would like to exceed the expectations of WE valued customers, respond rapidly to changing conditions and generate new revenue streams through introducing differentiated services such as IoT, clouding, big data analytic, and creating new channels such as mobile apps and Omni-channels. E- Payment, mobile money and e-wallets are very important and fast-growing services worldwide. There is a huge opportunity to develop these in Egypt, as until now there were several constraints to their development - such as bill commodities, transfers and payment of fees - and only a few services were authorized. We believe the government is interested in expanding e-payment usage, especially seeing the high share of the population that remains unbanked, at around two-thirds. Offering e-payment services and leveraging the reach of telecom operators can help change the landscape in this regard, and the potential is very large. In your opinion, how important is it for a state-owned operator to cooperate with private operators? It is our responsibility to support the development of Egypt's telecommunications market and all the operators in the market have to collaborate to achieve the mutual success of growing this sector. Telecom Egypt has wholesale agreements with the other three mobile operators in the Egyptian market to provide them with transmission and infrastructure services, while they provide us with mobile national roaming services. These agreements support the spirit of collaboration and mutual benefit to all parties. Recently, the balance has been achieved between us and the licensed mobile operators through our entry in the mobile market; this will help achieve a relationship based on mutual commercial arrangements on a win-win basis. What are the main goals that you expect to achieve by end 2018? In 2018, we will strongly continue our brand repositioning by capturing the national, young and best value market position. We will establish our full integrated triple play platform along with ongoing enhancements across all customer experience touch points revolving around innovation, simplicity, relevance and best value for money.